You can upload documents from your computer to the SmartVault Portal, as well as drag and drop files from Windows Explorer to the Upload window. You can also upload files using the Connected Desktop as well. 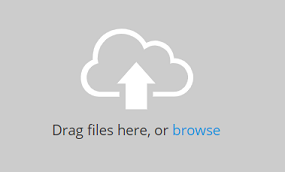 If you're a Guest or Tax Client who is invited to a SmartVault account, see Uploading Files as a Guest or Client. Note: The largest document that can be uploaded using the SmartVault portal is 2GB. You must use a supported browser to drag and drop files in the Upload window. 2. Select the folder to which you will upload the document. 3. Click the Select files to upload icon. Note: You can also click the browse link or drag and drop files to the folder.